Land for sale in Kiafa, in the old part of Hydra town, with a ruined house and fantastic views of the sea. Close to the church of Agios Andreas, this property is on a plot of 185 m2 and will make a magnificent family home. As there is an existing house, albeit ruined, on the plot, there will be no obstacle to obtaining planning permission. As can be seen from the photographs the house will have unimpeded sea views over the port and in the direction of Kamini. Obviously there is plenty of stone on the site that can be used to rebuild the house, but it's likely the existing structure will need to be demolished first. Because of the position of the property and the slope of the land in front of it, the views cannot be blocked by other houses. Land for sale in Kiafa, in the old part of Hydra town, with a ruined house and fantastic views of the sea. Close to the church of Agios Andreas, this property is on a plot of 185 m2 and will make a magnificent family home. 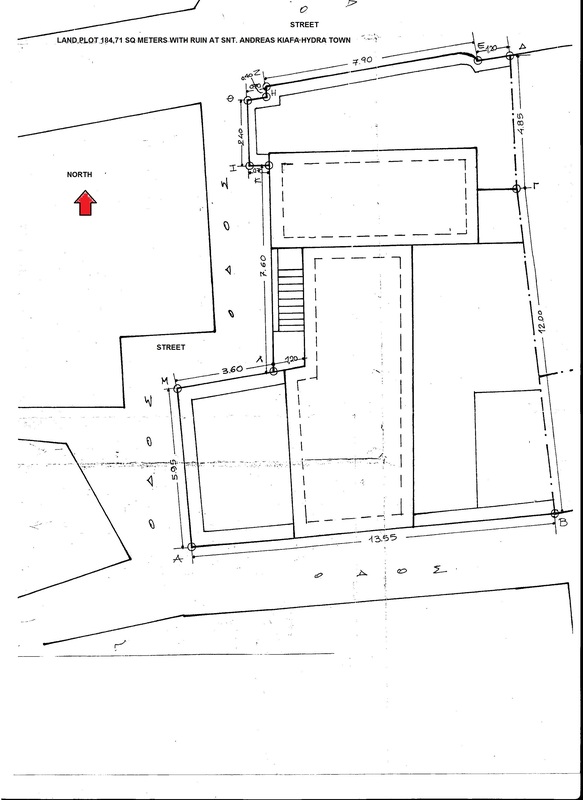 As there is an existing house, albeit ruined, on the plot, there will be no obstacle to obtaining planning permission. As can be seen from the photographs the house will have unimpeded sea views over the port and in the direction of Kamini. Obviously there is plenty of stone on the site that can be used to rebuild the house, but it's likely the existing structure will need to be demolished first. Because of the position of the property and the slope of the land in front of it, the views cannot be blocked by other houses.